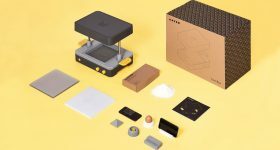 3DGence launched the 3DGence DOUBLE FDM/FFF 3D printer in March 2018. 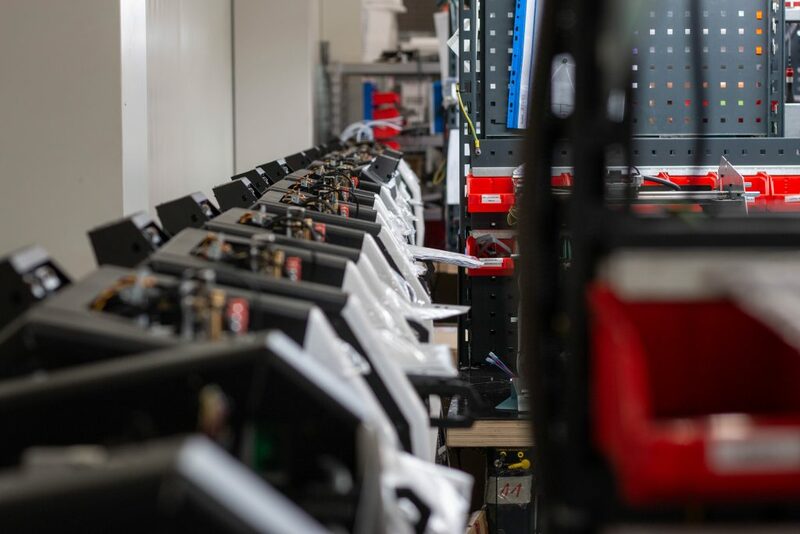 3D Printing Industry recently visited the company’s headquarters in Poland to learn more about the company behind the DOUBLE and to find out if their desktop 3D printer lives up to its claims. 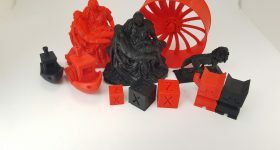 Our review of the 3DGence found that this versatile 3D printer is likely to be a welcome addition to design and engineering work groups or any user who requires superior print quality, control and access to functional materials. 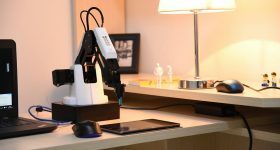 The 3DGence DOUBLE is a compact, but incredibly sturdy, 3D printer for users who require high-quality and detailed 3D prints. The 3D printer has dual extruders and can work with all the primary materials used in FDM printing. 3DGence has developed the DOUBLE with an open material base, meaning users are not restricted to a specific brand of filament. Currently material options are PLA, PET, PP, Nylon, ABS and an elastic filament called Fiberflex 40D. During our visit we met with the R&D team who dedicate a significant amount of time to testing materials requested by customers and developing material profiles that extend the range of printing options available. One of the core claims of the 3DGence DOUBLE is its ability work with water-soluble materials. 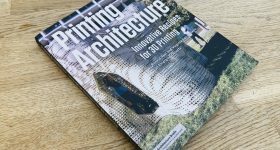 This feature is currently available on only a few printers on the market, and 3D printing with such materials can often be a challenging task to accomplish. One advantage of using water soluble materials is that the support structures they build can be positioned in areas of the model that would otherwise be hard to reach, for example inside tubes. 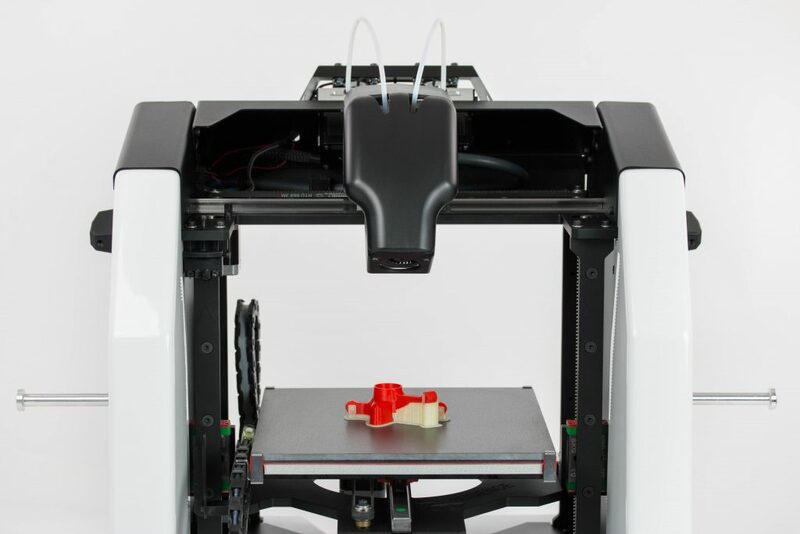 3DGence claims the DOUBLE can print soluble materials such as PVA and BVOH with ease. Water soluble supports are also advantageous in that they do not leave marks on the finished model. Working with such materials means complex models such as the 3D print in the video below are possible. 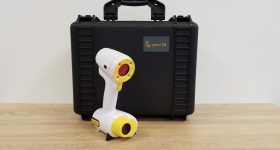 The 3DGence DOUBLE includes several features that are intended to increase throughput and extend the usefulness of the 3D printer. As mentioned, the DOUBLE uses a dual extruder, this means that 3D printing with multi-materials is possible. The hotend can quickly swapped out and the manufacturer claims that is possible both quickly and without requiring any tools. A range of material combinations for working with multi-materials are possible. These include PLA + BVOH, PET + BVOH, PP + HIPS and Nylon + HIPS. A problem that many will have experienced with 3D printing is the time, and material, wasted when prints fail due to running out of filament. The 3DGence DOUBLE features a filament end sensor that is designed to automatically pause 3D printing if filament runs out. This feature should allow a user to add new material and continue printing a model where the 3D printer left off. A very useful feature that if done well removes the need to start a 3D print from the beginning, saving time and material. Dual nozzles on the 3DGence DOUBLE.. The calibration process of the 3DGence DOUBLE is automatic and performed during a process that takes measurements at 15 different points on the build platform. The manual says it takes around 90 minutes to complete the process. However, 3DGence has improved the calibration process, and we found that it now takes about 2-3 minutes. The test unit our engineer worked with featured an interchangeable ceramic heatbed. 3DGence says that this heatbed has micro-pores to help with the adhesion and also make it an easy task to remove completed 3D prints. With these core claims in mind, we began our testing of the 3DGence DOUBLE. The 3DGence boasts an industrial grade metal frame. This means the DOUBLE is robust and sturdy in its build, a factor that helps in reducing the vibrations during the printing process. The Z platform is very sturdy while printing. The platform is supported by two industrial grade threaded rods providing the sturdiness. Furthermore, two linear guides provide accuracy during movement. Though the filament feeding mechanism is Bowden driven, the extruder design still seems very heavy. 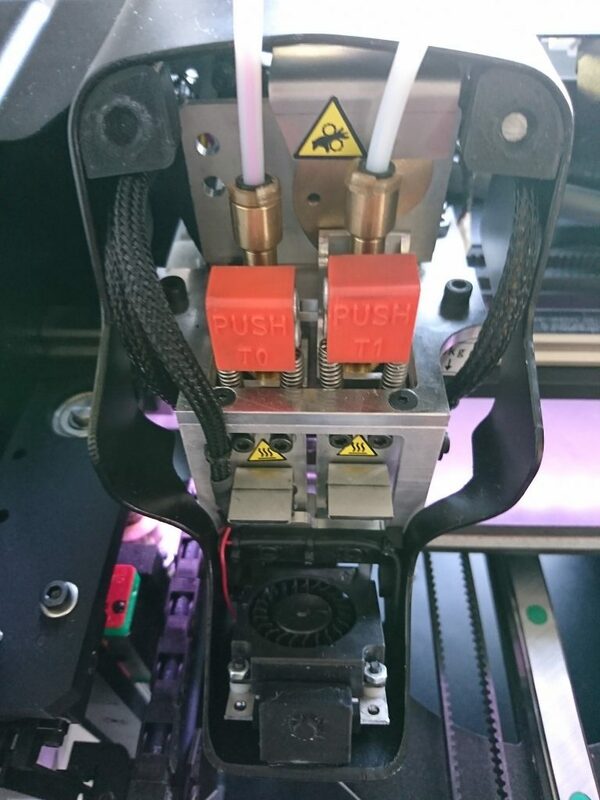 Nonetheless, the printer can reach 100mm/s printing speed comfortably and during our testing the hotend temperature remained stable. Because the manufacturer promotes the printer as able to print with soluble materials which are more prone to absorbing moisture. We would recommend an enclosed filament spool holder as an additional accessory. We would also recommend an enclosure for the printer to help with the high temperature materials such as ABS printing. 3DGence has developed such an enclosure which is available here. One small but very useful feature that we liked is that the drive gear is constantly cleaned by using a brush whilst the printer is printing. This helps prevent any tiny filament particle/debris from entering into the Bowden and eventually the nozzle. Overall, the quality of the components and the sturdy construction of the DOUBLE gives the impression of attention to detail and an expectation that 3D prints will be of high quality. The 3DGence DOUBLE 3D printer can use water soluble support materials. Turning our attention to the electronics and software of the 3DGence DOUBLE we noted several important factors. The electronics that drive the DOUBLE are a proprietary design. During our visit we observed the assembly line where the company builds 3D printers and were impressed by the fact this work is all conducted in house. 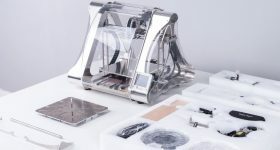 While the electronics in the DOUBLE are more than sufficient to operate the printer, there are plans by the manufacturer to modify the design with a 32-bit processor for enhanced reliability. Should a user require access to the these components then this is a simple matter. Access to the electronics and other gantry parts is easy, and users can simply troubleshoot under the manufacturer’s recommendation when needed. The 3DGence slicing software can be downloaded from the manufacturer’s website. 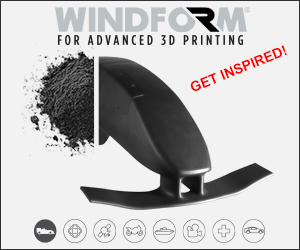 It is based on the Cura slicing engine. 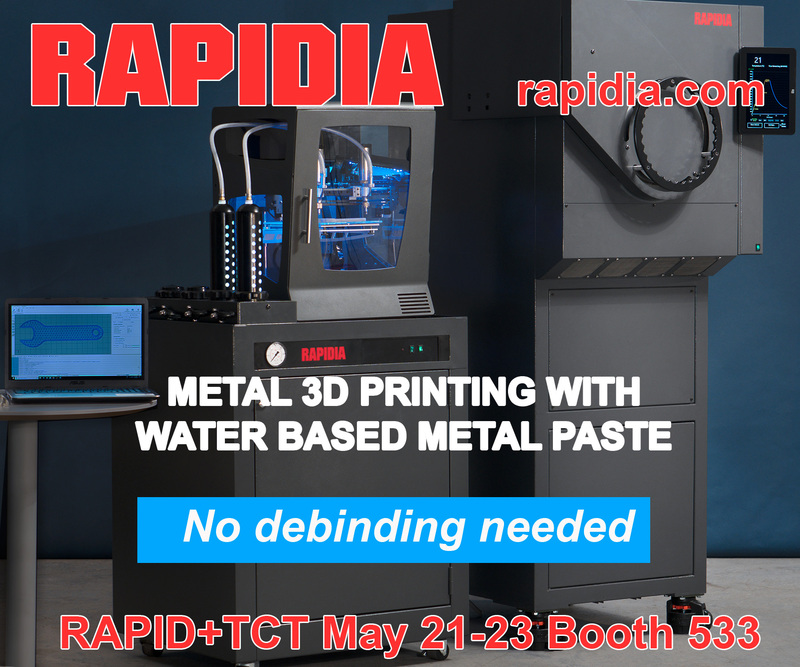 The manufacturer recommends use of the provided slicing software for better print quality and reliability as the material profiles are regularly updated and modified. 3DGence has several engineers dedicated to the creation of material profiles. During our testing we found the firmware to be stable and can be updated to the latest version by following the instructions in the user manual. How does this all work in practice? Our initial impressions of the quality of construction gave us the impression that the 3DGence would produce high-quality 3D prints. This impression was also supported by the user manual that accompanies the DOUBLE. The user manual reflects the high quality and standard the company follows. It is well structured and fine attention has been given to the details and content. The manual covers all the necessary information professionally, including the safety measures, first set up, touchscreen options and troubleshooting. By following the first set up instructions from the user manual our engineer completed the set up without any issues. We used the supplied 3DGence slicing software and the available profiles to begin testing the printer with PLA filament at first. The print worked beautifully – as expected. Specifically, the test model displayed effective overhang handling capability. Our engineer particularly liked the DOUBLE’s impressive capability of printing PLA along with BVOH material for support effortlessly. The DOUBLE also handles the retractions in an outstanding manner. A row of DOUBLE’s at the 3DGence HQ in Poland. Working with a water soluble material was a smooth experience, producing 3D prints that lived up to the manufacturers claims. 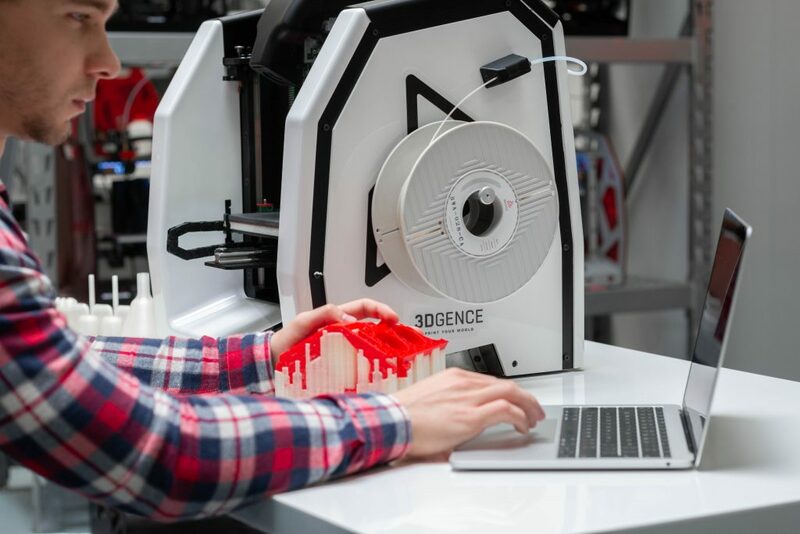 In our first-hand experience, the 3DGence DOUBLE yielded a very satisfactory and impressively effortless 3D printing experience during the whole testing process. We tested the printer with BVOH filament. During our time testing the DOUBLE we found that the nozzles did not clog even once during whole testing process. 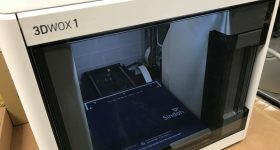 However, while the printing experience on the whole was an incredibly straightforward experience that constantly lived up to the manufacturers claims, we did experience a couple of issues. When we tried to verify the actual build volume on x and y axis, we chose to print a flat base. Unfortunately, we encountered two issues at this point. Firstly, the flat base of the print was not straight on the bed, rather it was slightly slanted. However, this issue was easily resolved by performing the auto calibration process one more time. Secondly, the slicing software limited the build volume to 180mm in X axis and 245mm in Y axis, even though the build volume shown on the webpage is 190 in X axis and 255mm in Y axis. The latest version of the slicing software allows the full build volume to be utilized. In terms of bed adhesion and print removal we found the ceramic print bed easy to work with. However, in our experience additional bed adhesives were required to help with the adhesion. In the near future, the manufacturer is looking into changing the plate to industrial grade glass. When testing the material flow control system our engineer was pleased to report that it functioned exactly as intended. 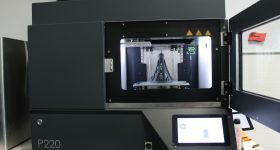 The feature was tested by forcibly stopping the filament spool momentarily, the printer paused the print as expected by showing the error on the screen when the system detected the inconsistent material flow. Printing was resumed and the 3D model continued to print as expected. We also looked at the swappable hotends. Again, this feature worked well and precisely as described by 3DGence. Removing the hotend as per the instructions in the manual means that the extruder design mechanism allows for the easy detachment and reattachment of the hotends. Moving on from working with the PLA material we then printed Smart ABS filament. Again we used the default settings provided within the 3DGence slicer profile. We chose a considerably wider sample print to test how the printer handles this filament. The print turned out to be very good as expected. 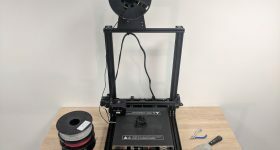 As noted we believe having an enclosure around the printer will help users a lot especially when printing with other available commercial ABS filaments in the market. Although even without such an enclosure we did not notice any warping or layer cracking issues in the print. The DOUBLE can also 3D print with PP. 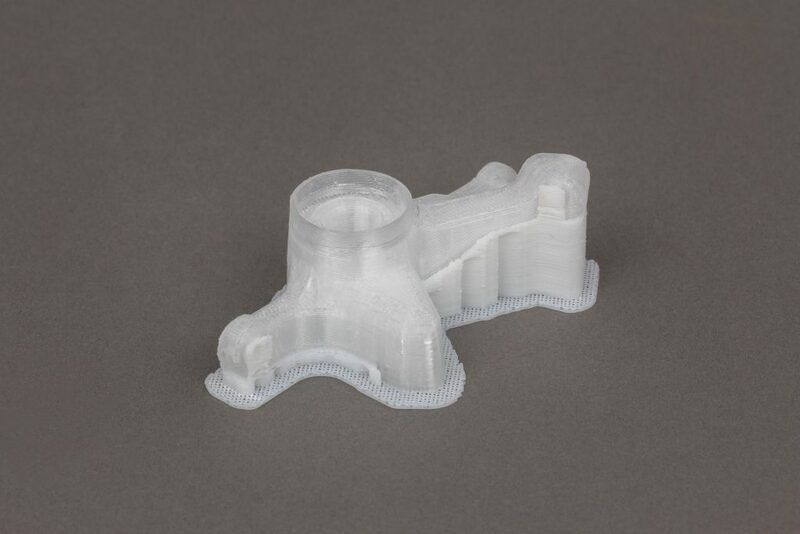 In addition to PLA and ABS, the DOUBLE can 3D print with PP. Does the 3DGence DOUBLE live up to it’s claims? In conclusion, the 3DGence DOUBLE is mechanically and electronically an exceptionally well built device. 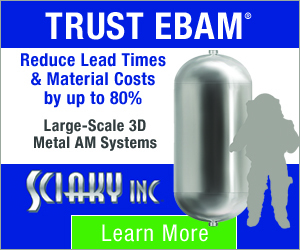 Importantly it delivers exactly what the manufacturer claims it does. In fact, with the future improvements in terms of hardware, software and electronics the 3DGence DOUBLE is one of best choices for the industries the manufacturer is aiming for. For any 3D printer user, it is very important that the manufacturer be there with them after sales for either technical support or to listen to their experiences. The 3DGence team does just this, we had a chance to evaluate after sales services provided and we were pleased by the level of support given by the extremely knowledgeable team. The team is has access to very well-prepared, clear instructional guides and video instructions that can give a user additional support where necessary. Furthermore, we had a chance to study the business model and the organisation of the company. The 3DGence has shown an amazing growth since establishment with over 80 employees in various departments. The team behind the DOUBLE is incredibly knowledgeable and committed to providing a high quality 3D printing experience for users. The most significant and important observation was the 3DGence R&D department. It has a large number of teams working on various projects with effective results. 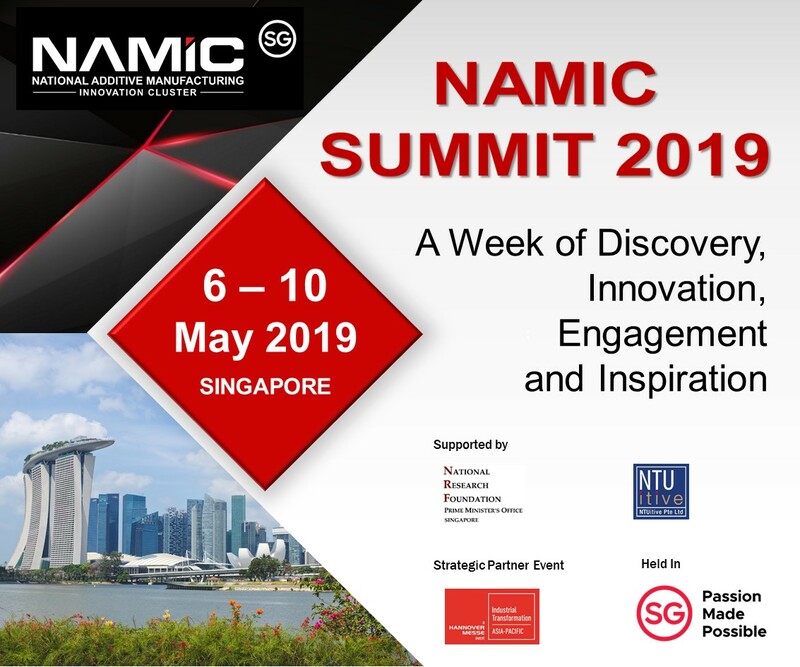 The company is expected to come up with some ground-breaking products in the very near future. 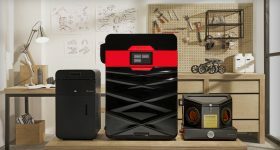 For now, the 3DGence DOUBLE is a great example of a 3D printer that delivers on its promises and would be a valuable addition to an engineering or design workgroup that requires a range of material options and wants a reliable 3D printer. The 3DGence DOUBLE is priced at €3095, sample prints can be requested here. The full technical specifications of the 3DGence DOUBLE are available here.